Philippine music's Ulitimate Serenader Erik Santos releases another sure fire hit song titled "Bakit Mahal Pa Rin Kita" from his album "Awit Para Sa'yo." Released by Star records Erik's latest music compilation has 14 tracks including nine original and five cover songs, all are OPM love songs composed by renowned composers in the local music scene. Filipino fans of international singer-songwriter and anti-trafficking advocate, Jason Mraz, are in for a real treat as GMA Network airs the MTV EXIT Presents Jason Mraz special on Saturday, March 31 at 11:30 PM. This follows from Jason Mraz’s visit to the Philippines last year who made a special appearance at the MTV EXIT Live in Manila concert held at the SM Mall of Asia concert grounds to join 25,000 fans on the fight against human trafficking and exploitation. 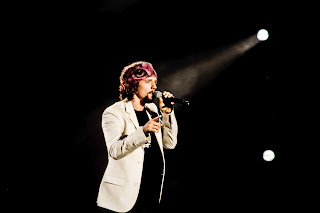 Jason Mraz shared a compelling message at the concert to encourage fans in the Philippines to join him in the MTV EXIT anti-trafficking movement to end modern-day slavery. “If we truly want to have world peace, we have to end human trafficking,” said Jason Mraz during his presentation. On 31 March 2012, between 8:30 pm to 9:30 pm, the islands of the Philippines are set to go dark – all in the name of saving energy and keeping the planet green. This, in a nutshell, is what Earth Hour is all about. Every year, GMA Network aligns with WWF Philippines to help celebrate this global event. The lights of the Network’s headquarters in Quezon City go off during the annual Switch Off event. 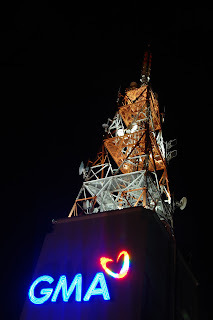 In 2011, GMA 7 had an expanded participation, so to speak, as its originating stations in various provinces also had their lights turned off for 60 minutes in commemoration of Earth Hour. “Sa atin, anong manual natin? Ang manual natin ay The Bible. The Bible is our manual to life,” pacquiao said in a Chritsian fellowship on Thursday in stating the importance of reading the bible for improving oneself. As holy week approaches, its good to know that there are people using their social status for the promotion of something good. And one reality in today's world, people tend to be too liberated to the point where they no longer know morality or even the basic rule of knowing what is right and wrong. These next few days the holy week starts and the question of us and even to myself is if I had made any reflections on what I have been doing lately. Was it for the good or going bad unconsciously? GMA New Media, Inc. (GMA NMI), a subsidiary of GMA Network, Inc., and the Manila Jockey Club, Inc. (MJC), recently signed the Shareholders' Agreement for Gamespan, a joint venture that aims to transform sports participation and recreational gaming into technology-based services. The JV company aims to propagate the gaming experience through multiple platforms such as mobile, web and other emerging technologies, and develop derivatives-based games. Standing from left to right are Judd I. Gallares, President and COO, GMA NMI, Felipe S. Yalong, EVP and Chief Financial Officer, GMA Network; Gilberto R. Duavit, President and COO, GMA Network; Atty. Felipe L. Gozon, Chairman and CEO, GMA Network; Atty. Alfonso Reyno, Jr., Chairman and President, MJC; Atty. Alfonso Reyno III, EVP and COO, MJC; Dr. Dante Morales, Director, MJC; and Atty. Ferdinand Domingo, Corporate Secretary, MJC. After-School Assignment: Brighten Up Your Summer with Scotch® and Post-it® Products! The bell has rung! School’s out, summer’s in! Along with the graceful exit of each academic year comes the question: “What am I supposed to do now?” Because, let’s face it, after being busy all year at school, the months of doing nothing seem to stretch on and on. For you to make the most out of this season, we have cool tips on how you can make the most of your free days, remain productive, get organized and become creative! Think less of it as a to-do list and more of a wish list! Pen down the activities and experiences as well as tasks and errands that you want to do for the summer. 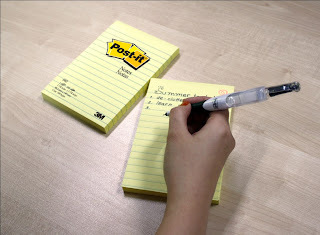 You may simply jot them down on a Post-it® Ruled Notes such as: learn photography, clean up your computer hard drive, marathon the latest season of your favourite series, have a sleepover, and tidy up your room. A list will serve as your guide throughout the whole summer so that you can be sure that you don’t miss out on any adventure. 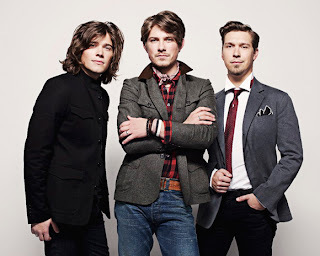 The hit 90's band HANSON is back yet still has that charm and charimsa to get people fall in love with their tracks. And now they are back with more hits to be played with their latest album SHOUT IT OUT. 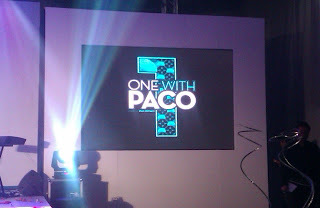 Now we were privileged to be invited in their press conference that happened at the EDSA Shangri La Hotel. And from here we got to see the Hanson brithers al grown up and all of them already parents. It's great to see these acts that have withstood the test of time and brotherhood. And with most of the press (mostly young) who grew up with their song feels in cloud nine also as they actually looked good at their age and still making great music that are close to so many fan's hearts. Now exclusively from MTL Music Lyf, we recorded their live performance as a treat to the press people and also dedicate it to their fans. Also the question and answer was also recoreded for ours subscribers too see. Kanta Pilipinas And The Audition News This March! Set to conquer the Summer Capital of the Philippines tomorrow and the following weeks, TV5’s Kanta Pilipinas continues to scour the country in search of the next big star able to make the nation sing. With 180 registrants last Feb. 24, 2012 in SM City Cagayan De Oro reaching the cities of Iligan, Misamis and Cagayan, 76 hopefuls were called back and only 37 passed the judges’. Filipino pop songs became the favorite rendered on the stage with many who rendered the Grammy Award winning songs of Adele and Whitney Houston, hopefuls came from different communities and barangays. The 17th World Building and Construction Exposition (WORLDBEX) once again proved to be a success. Over 152,000 visitors flocked to the World Trade Center Metro Manila and experienced 30,000 sq. 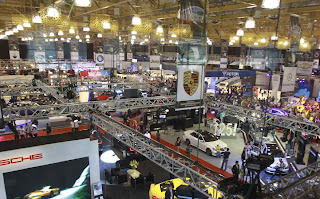 m. of booths and exhibits from local and international industry players. “WORLDBEX leads the future of the construction industry in the Philippines by providing an avenue where local suppliers can showcase their products globally and likewise giving Filipinos an opportunity to see what the international market has to offer,” says Joseph Ang, founding chair of Worldbex Services International (WSI). MARVIN AGUSTIN returns to the big screen with sure-fire comedy hit"MORON 5 and the Crying Lady"
Half-witted longtime friends Albert (Luis), Isaac (Billy), Mozart "Mo" (DJ), Michaelangelo "Mike" (Martin) and Aristotle "Aris" (Marvin Agustin) were used to living moronic yet pretty normal and hassle-free lives until successful careerwoman Becky Pamintuan (John Lapus) accused them of killing her father and ruin everything for them. The Moron 5 are more than sure of their innocence but the life of them, they cannot find a single satisfactory argument on how to prove it especially when their opponent would do everything to punish them for whim. Spending three miserable years in prison trying different failed comedic attempts to get out, they finally figured a way to escape. They stalked Becky and try to understand why she is fighting so hard to have them imprisoned when it's clear as day that what happened three years ago was a nonsense frame-up. GMA Network adds “traditional” drama to its portfolio of aces in the continuing race for dominance in the local television ratings. 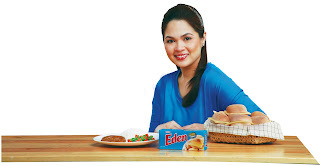 This claim is backed by the Kapuso Network’s strong performance in its drama-filled Afternoon Prime block, which runs weekdays from 2:30pm to 6:30pm. As of March 16, data from the more trusted ratings data provider Nielsen Television Audience Measurement (Nielsen TAM) show that GMA’s Afternoon Prime was a leader in the National Urban Philippines (NUTAM) from the beginning of the year with an average household rating of 14.6 pts. and an average audience share of 36.9%. ABS-CBN, on the other hand, got an average household rating of 10.9 pts and an audience share of 27.5%. Lagging further behind is TV5 with an average household rating of 6.6 pts and an audience share of 16.8%. 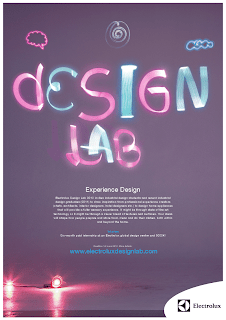 Electrolux Design Lab is a global annual design competition inviting students and recent graduates of industrial design to compete for a six-month paid internship and prize money by submitting ideas that develop the sensory experience of home appliances. This year the jury will also take special note of the aesthetic qualities of the concept and the way textures and surface materials have been used. 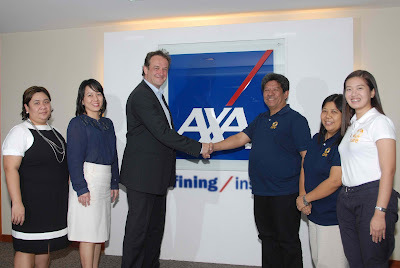 Last January 31, 2012, AXA Philippines President and CEO, Rien Hermans handed over the proceeds of a month-long campaign initiated by company management to gather financial support from AXA Philippines employees and distributors for the victims of the devastating typhoon Sendong. Typhoon Sendong destroyed thousands of homes and caused millions of pesos in damages in the Northern Mindanao area in late 2011. The amount was raised through a campaign entitled, Hearts in Action for a Million, wherein AXA Philippines employees, management and distributors contributed financial aid. Some groups even contributed their activity fund, the amount allocated for their group activity and Christmas gathering. The objective was to raise a million pesos in relief funds for the families affected by the disaster. From the producer of Hasbro the Transformers franchise. Summer 2012 begins with the biggest battle of all: Battleship. Peter Berg (Hancock, The Kingdom) produces and directs Battleship, an epic action-adventure that unfolds across the seas, in the skies and over land as our planet fights for survival against a superior force. 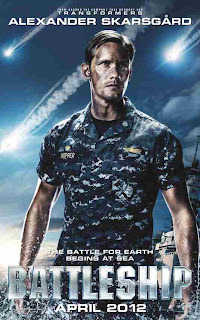 Based on Hasbro’s classic naval combat game, Battleship stars Taylor Kitsch as Hopper, a Naval officer assigned to the USS John Paul Jones; Brooklyn Decker as Sam, a physical therapist and Hopper’s fiancée; Alexander Skarsgård as Hopper’s older brother, Commanding Officer Stone of the USS Samson; Rihanna as Lt. Raikes, Hopper’s crewmate and a weapons specialist on the USS John Paul Jones, and international superstar Liam Nelson as Hopper and Stone’s superior (and Sam’s father), Admiral Shane. “Battleship” distributed and released by United International Pictures through Solar Entertainment Corporation. Music is an essential part of our everyday lives and we Filipinos aside from being known for our hospitality and warm smiles we also have this utmost love (and sometimes addiction) for videoke. It is present in every life event like birthdays, wedding and even funerals. And with this Pinoy passion that have also shaped our world class singers known around the globe into the great music artists they are today. Maybe the reason videoke is such a huge hit is because it brings people together and adds fun to parties, reunions and other gatherings. It’s also a great way to unwind and let out the stress after a long, tiring day.And most people don’t just sing one song; videoke sessions can go on until the wee hours of the morning (or until the machine breaks down). "The tragedy of Titanic has assumed an almost mythic quality in our collective imagination," Titanic filmmaker James Cameron says. "But the passage of time has robbed it of its human face and vitality. I hope that Rose and Jack's relationship will be a kind of emotional lightning rod, if you will, allowing viewers to invest their minds and their hearts to make history come alive again." 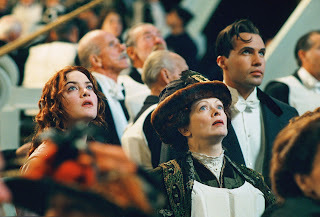 Traveling on a ship physically designed to prevent them from ever meeting, third-class passenger Jack Dawson (Leonardo DiCaprio) and first-class passenger, Rose DeWitt Bukater (Kate Winslet), have taken the ultimate risk -- to defy the oppressive social conventions of their time and fall in love. In full 3D, “Titanic” sails once again in theaters come April 7 (Saturday) across Philippine cinemas. Here are important facts gathered to usher audience aboard the R.M.S. Titanic for the timeless, beloved classic love story of all time. 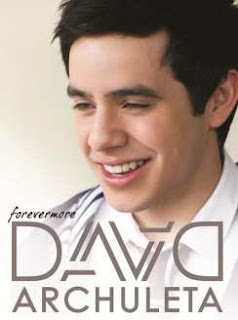 DAVID ARCHULETA…FOREVERMORE, is a collection of all original Filipino classic love songs written in English and composed by some of the Philippines’ renowned songwriters like Ogie Alcasid, Louie Ocampo, Jay Durias, Jimmy Antiporda, Cecil Azarcon, among others. The collection showcases some of the best love songs, the country has produced. The songs will definitely invoke feelings of love and hope in every listener. “Forevermore” and "Hold On" (both by Side A), “You Are My Song” (Martin Nievera) “I’ll Never Go" (Nexxus), "Tell Me" (Joey Albert), “Reaching Out” (Gary Valenciano), and “Rainbow" (South Border)” are some of the songs included in the album. The album pays tribute to not only OPM (Original Pilipino Music) but also to his countless fans who have been loyal throughout his career. The album is a gift and labor of love to his devoted fans. David wants his fans to know, that he loves and appreciates them wherever he may go, Forevermore. Is it a coffee shop or an internet cafe? Actually it's both. The internet has never been this faster, more reliable and convenient! Re-inventing your internet experience, Netopia brings new facilities and services to provide you with high-speed connections and a complete café experience that is fresh, new and trendier than ever! They recently opened a hybrid store fusing the reliable netopia internet cafe with Highlands coffee (from Vietnam) at the newly opened Lucky Chinatown Mall in Divisoria, to create that one of a kind internet and coffee experience. For 16 years now since 1996, Netopia has been providing high-speed internet and top of the line computer services among Filipinos through its 116 outlets located across the country. 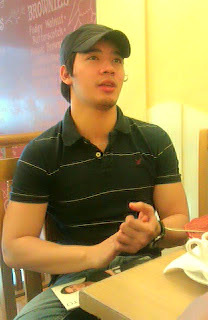 Operated by Digital Paradise Inc., Netopia is the leading and only nationwide internet café chain in the Philippines. “Shout it Out” album now available in stores nationwide! To most of the world, Hanson were three little boys who sang infectious and catchy songs like “I Will Come to You,” “Penny and Me” and “Where’s the Love.” Fifteen years after hearing their ubiquitous "MMMBop" here, there, and everywhere—the boys are back to reward loyal Pinoy fans with some of their greatest pop-rock anthems. Celebrating the release of the new album “Shout It Out”, PolyEast Records in cooperation with Astrovision/Astroplus, will have a special CD Signing Event for all Hanson fans & CD buyers. Fans will get to share the excitement and share the love for the band on Thursday, March 29, 2012 6:00 p.m. at The Block SM North EDSA and on Saturday, March 31, 2012 2:00 p.m. at SM Cebu. 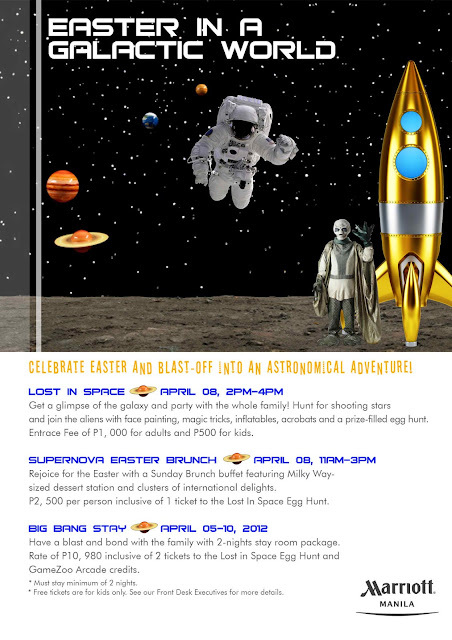 Cyberzone iButterfly Hunt This Easter! The iButterfly, an Augmented Reality Application based technology, that will be first introduced by SM Supermalls in the Philippines will be officially launched on April 8, 2012 across all Cyberzone branches. It will be the start of SM Cyberzone’s exciting summer campaign. To give you an overview, the iButterfly is a fun and entertaining mobile information and couponing platform that tasks its users with catching augmented reality butterflies , each representing one or more coupons. It was previously created by Japan's Mobile Art Laband has been successfully launched in Japan, Hongkong, Indonesia, and Singapore. The iButterfly uses 3 technologies: Augmented Reality for seeing butterflies in the real world, Motion Sensors for catching butterflies using a phone and Global Positioning System (GPS) for finding butterflies at a location. It is definitely a unique and engaging way to enjoy promos and discounts with your tablet and smartphone with the Android platform, and IOS on Easter. Get Healthy With Nestle Fitnesse This Summer! The lifestyle choices that affect the way you feel about yourself begin with what you put in it everyday. Those who wish to achieve and maintain a healthy body weight should have whole grain foods, such as NESTLЀ FITNESSE cereal, as part of their daily menu. High in volume and with low-calorie density, whole grains make you feel fuller longer. It contains fiber and is also high in calcium, iron and folic acid. NESTLЀ FITNESSE makes a deliciously breakfast or snack and is available in Low Fat Whole Wheat, Honey & Almond and FITNESSE andFruit variants. IN THE MIDDLE OF THE NIGHT, a security camera captures a disheartening scene: a young woman leaves her child by the doorstep of someone else's home. After some inquiry, authorities tracked down her whereabouts. When asked why she abandoned her child, she said that she did not have the means to raise the child properly adding that if she only had a choice, she would have done otherwise. 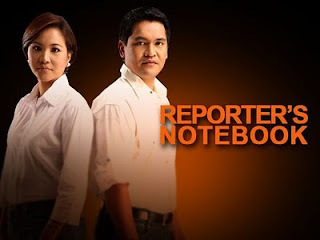 This Tuesday, GMA's award-winning documentary program Reporter's Notebook will discuss the problem of child abandonment and what really drives many "unprepared" moms to desert their children. Are poverty and emotional inadequacy the culprits, or are all these just an excuse to evade the responsibility of being a mom? Krisis Komix will also celebrate its 3rd anniversary as it was launched on Earth Hour 2009. Now There will be upcoming strips for the relaunch of the series and the new comics. 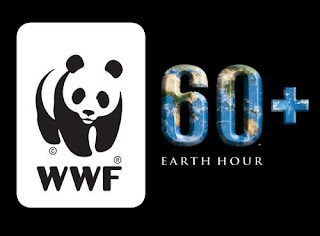 From 8:30pm to 9:30pm this coming 31 March, WWF-Philippines will again stage Earth Hour to inspire Filipinos to switch off their lights and dare their friends to save planet Earth. 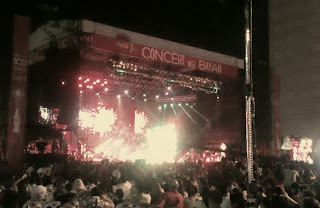 Once again, Coca-Cola made happy history with a massive nationwide concert party for the Filipino youth to celebrate its 100th year in the Philippines - the Coca-Cola Concert ng Bayan! The rocking concert party, which gathered Pinoy teens from all over the country unfolded at the SM Mall of Asia concert grounds last March 23, 2012 and simultaneously shown live in key locations nationwide including SM Baguio, SM Lucena, SM Cebu and SM Davao and streamed via coca-cola.com.ph, allowing everyone across the country and the world to be part of the energizing music, the unlimited festivities and of course, the overflowing happiness. Located along President Quirino Avenue Extension, Avida Towers Intima offers unmatched accessibility and conveniences to its residents, as it is located near places of work, education and leisure. It is ideal for both individuals and families who are seeking for the perfect home in the heart of Manila, and in the middle of places that matter. Iligan City Mayor Lawrence LL. Cruz recently released a three-page resolution to express the province’s deep gratitude to broadcast leader GMA Network and its socio-civic arm GMA Kapuso Foundation (GMAKF) for the latter’s quick and comprehensive response when typhoon Sendong caused catastrophic damage in Southern Philippines last December 2011. The said tropical cyclone claimed the lives of more than a thousand people and left more than 15,000 houses in the South either completely or partially damaged.